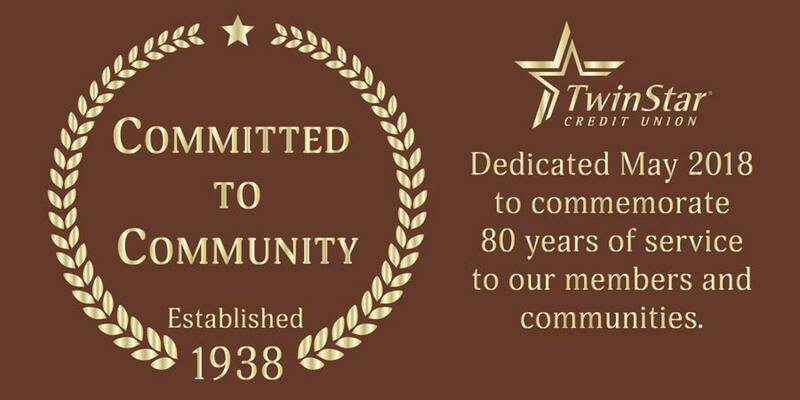 LACEY, WASHINGTON —On Tuesday, May 22, 2018, 5:00–5:30 pm, TwinStar Credit Union will commemorate 80 years of service to its members and community. The ceremony, to be held on TwinStar’s campus between its Administrative Headquarters and a recently purchased administration building, includes a dedication to a planted oak tree and the unveiling of a commemorative plaque. The oak tree symbolizes 80 years of service, stability, our roots in the community and growth. The bronze plaque mounted on rock marks the anniversary. TwinStar board members from the community, managers and others will attend.